Earth is on pace to tie or even break the mark for the hottest year on record, federal meteorologists say. That's because global heat records have kept falling in 2014, with September the latest example. The first nine months of 2014 have a global average temperature of 58.72 degrees (14.78 degrees Celsius), tying with 1998 for the warmest first nine months on record, according to NOAA's National Climatic Data Center in Asheville, N.C.
"It's pretty likely" that 2014 will break the record for hottest year, said NOAA climate scientist Jessica Blunden. "This is one of many indicators that climate change has not stopped and that it continues to be one of the most important issues facing humanity," said University of Illinois climate scientist Donald Wuebbles. Some people, mostly non-scientists, have been claiming that the world has not warmed in 18 years, but "no one's told the globe that," Blunden said. She said NOAA records show no pause in warming. The record-breaking heat goes back to the end of last year - November 2013 broke a record. So the 12 months from October 2013 to September 2014 are the hottest 12-month period on record, Blunden said. Earth hasn't set a monthly record for cold since December 1916, but all monthly heat record have been set after 1997. September also marks the fifth month in a row that Earth's oceans broke monthly heat records, Blunden said. 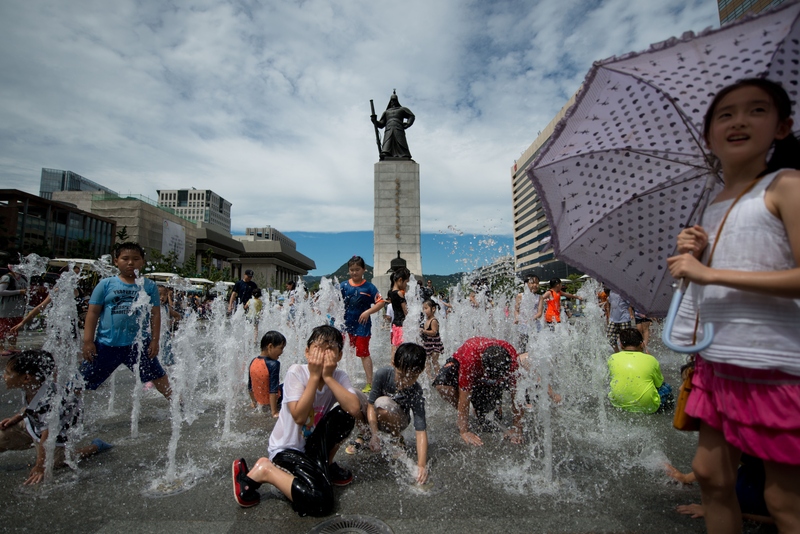 If Earth sets a record for heat in 2014 it probably won't last, said Jeff Masters, meteorology director for the private firm Weather Underground. If there is an El Nino, Masters said, "next year could well bring Earth's hottest year on record, accompanied by unprecedented regional heat waves and droughts."